Last year, I shared my favorite Thanksgiving book with you. This year, I have my favorite poem of the season. It’s not really about the holiday, but it kindles in me a visceral reminder of the Thanksgivings of my childhood. I would leave the house after dinner to walk the dog, to get away from the heat and the noise and the people. The houses I passed would be lit up, but on mute – all festivities contained, windows tightly shut. This was long before cell phones, of course, and I cherished the emptiness of the town, my only company a snuffling fifty-pound mutt terrier. With her, I felt safe enough to stay out until my fingers froze, shoulders hunched against the bitter New England night. It was rare to meet another person, or even to see a car pass. I never brought my Walkman with me then either; I wanted, for once, to listen to the wind exhaling through the trees. It felt good to let the weight of the day lift off of me, to transform into a shadow for an hour before returning to the family and food I was lucky enough to have. in the trees; silenced, we went on. over the snow, into the forest. seeming the size of a small black bear. load after load of apples down to the flock. and the dog would not answer. My plan for today was to post a picture of all the books I got for Christmas – a brilliant and almost effortless idea that was especially perfect because by the evening of the 25th, I was taken down by a sore throat. I really needed a holiday post that required as little energy as possible. Unfortunately (and unexpectedly), I received only one book this year – an excellent yoga guide – and no matter what angle I took the picture from, one book does not a glorious pile make. 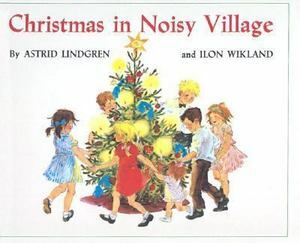 Christmas in Noisy Village, Astrid Lindgren and Ilon Wikland – My all-time favorite of favorites, this book just feels like home to me. Every time I read it, I remember the chest my grandmother kept it in, and how she would pull it out for me to read whenever I asked for it, even in the middle of summer. I will never be able to read it without remembering her and all the wonderful times we had together. 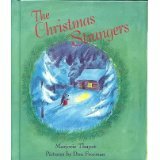 The Christmas Stranger, Marjorie Thayer and Don Freeman – This was longest Christmas book we owned when I was a child that could technically qualify as a picture book, although it was as long as some chapter books. My dad read it to me tirelessly every night during the holiday season year after year, and I am eternally grateful to him for his patience and love, because if it were me, I might have hidden in it or burned it or tossed it down the deepest well I could find. It’s a great story, and beautifully told, but really, he was a champion. 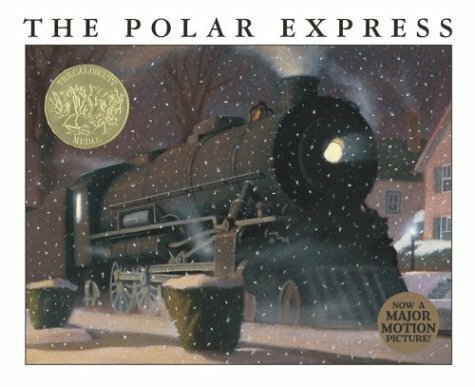 The Polar Express, Chris Van Allsburg – What am I, a monster? Of course this made the list. Seriously though, I love all of his books passionately. His stories are simple and elegant, and the illustrations are always stunning. I will never forgive Hollywood for making a terrible movie out of this book, destroying it for generations of unsuspecting children. 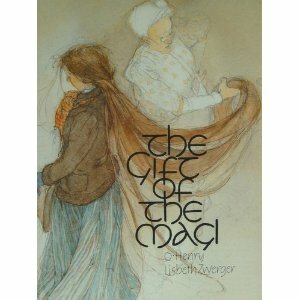 The Gift of the Magi, O. Henry and Lisbeth Zwerger – A family favorite, this is a classic story illustrated fabulously with Zwerger’s watercolor images. If you aren’t familiar with the tale, I highly recommend it for its graceful appreciation of the holiday spirit, and if you are, then I say you haven’t really enjoyed it until you’ve seen this version. 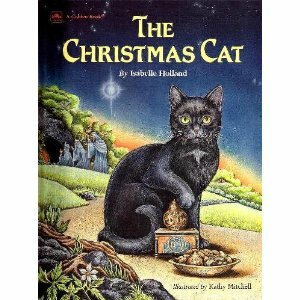 The Christmas Cat, Isabelle Holland and Kathy Mitchell – This is actually a pretty hokey story about a cat who convinces a dog and a donkey to follow the star to see the baby born in a manger. When I made my husband read it a few years ago, he looked at me like I was a crazy person for calling it a classic, but what can I say? Sometimes we find books at just the right age, and for whatever reason, we fall in love. Quality not withstanding, I always seek this book out to read by the fire when I come back for the holidays.